Purifying Control Treatment is designed specifically for sensitive problematic skin that is prone to acne. It clears up the pores and heals the existing acne and breakouts, reducing the irritation and preventing new ones from appearing. It is very helpful for pain and discolouration during breakouts, the treatment reduces the redness and purifies the skin. If you have severe acne or small breakouts this treatment is just what you’ve been looking for! Every OxyJet treatment always starts by prepping the skin and exfoliating, which helps open up the pores and absorb the active ingredients pressed into the skin further in the procedure. The skin is exfoliated under the appropriate temperatures which gives the best results in the end of the treatment. It is accomplished by applying OxyClear lotion onto the skin in combination with the Blue Biolight, which helps soothe and calm down the affected areas. The next step in Purifying Control is the OxyDiamond microdermabrasion. It peels off the extra skin and is used with the purifying control serum. The serum also prevents the skin from future breakouts or irritation. The pores are clear, extra dry skin and acne are peeled off, you look fresh and there is no more active acne on the skin! The last step in the treatment is usually the application of the Blue Biolight, which again, calms down the skin and makes it soft and smooth. This step is extremely important since the redness might be a little red after the microdermabrasion. Since dead skin cells are peeled off and you skin is exfoliated, we need to take the extra step to make sure the skin is back to it’s normal condition and looks glowy and healthy. We also often use Orange Biolight for this step of the treatment for the detoxification purposes, which makes the appearance of the skin even clearer and purer. 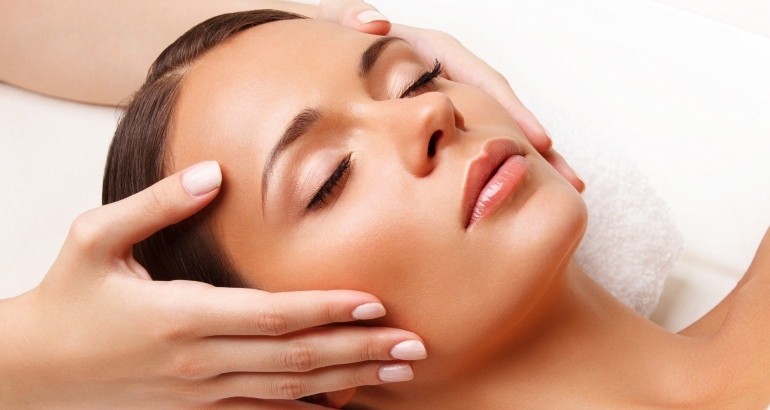 The main purpose of the treatment is to heal the acne from the inside. Our Purifying Control serum contains all the necessary active ingredients and acids to really get to the skin’s deepest layers and fully purify it. You’ve been struggling with acne for many years but were too scared to do laser treatments? Purifying Control is exactly what you need for gentle acne reduction and great long-term results. It is effective for any skin type and any skin condition. We do recommend to do it on sensitive and acne-prone skin, but if your skin is problematic and you happen to get blackheads or wens often this treatment will be helpful for you as well. We recommend scheduling an appointment prior to the treatment as our specialist will be able to say exactly what kind of treatment you will need to deal with your specific problem. Brightening Corrector Treatment is made for sensitive skin with any kind of pigmentation, uneven skin tone or irritation.